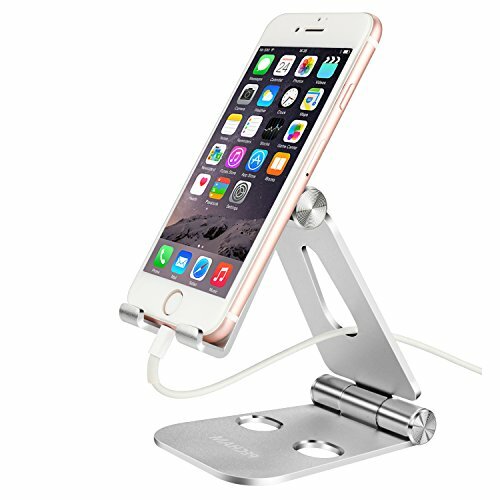 Pecham Adjustable Aluminum Stand for Smartphones, Tablets and e-readers - Make life easier! Durable aluminum body,with a sturdy construction,can hold your phone steadily. Enlarged anti-scratch silicone pad provide you decent protection even your phone case is removed. The elegant silver finish compliments most devices (especially for iPads), both in color and style. As a company focusing on product quality and customer experience, we would like to offer you a 18 month warranty. If you have any problems with the product, feel free to contact us.